This mod is a work in progress and is actively being developed by me (Arq), there may be bugs that you encounter while playing the mod. If you do, please let me know so I can fix it as soon as possible! Go to C:\Program Files (x86)\Steam\steamapps\common\DeathRoadToCanada , drag and drop the deathforth & gfx folder included in this folder, and replace it over the originals. Make sure to backup the original files just in case. and Heshiko from War of the Human Tanks. More characters may be added in the future. 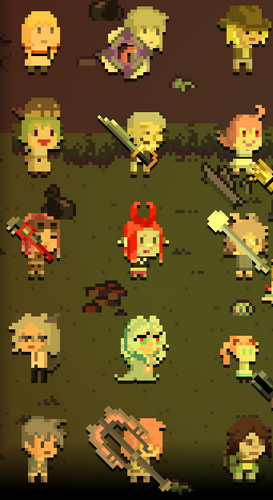 The aforementioned characters have been added as rare characters. If you don't feel like goofing around in any of the rare character modes, they have been placed in OPP mode's beginning room, and an entirely custom gamemode is playable where you can recruit any of the characters. Changelog and Credits in included readme "How to Install & Info."